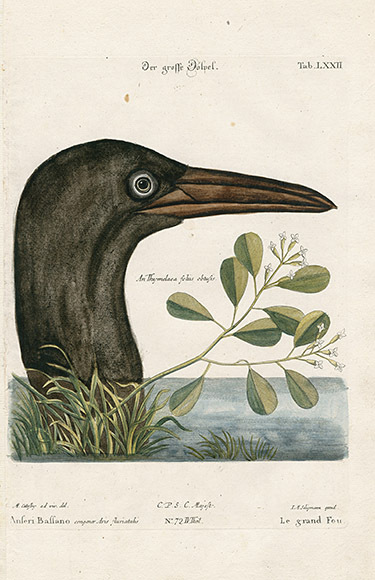 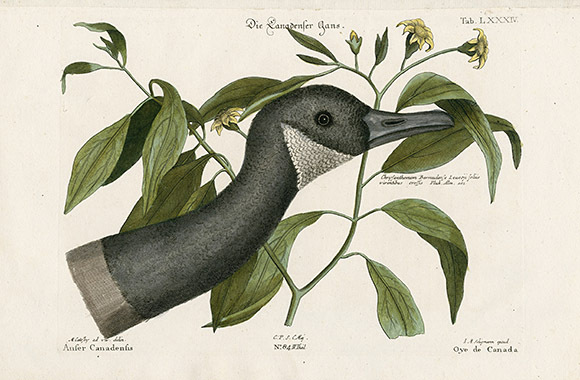 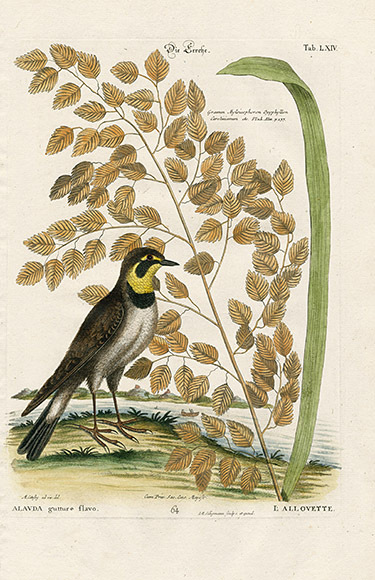 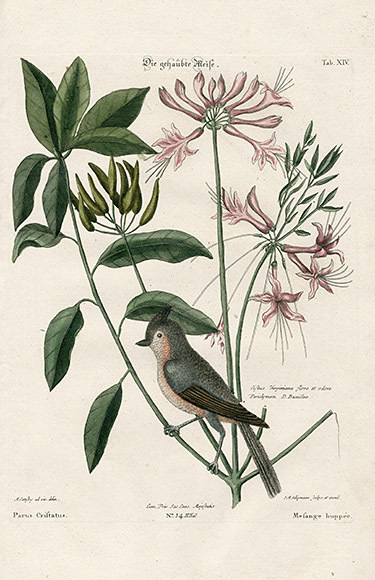 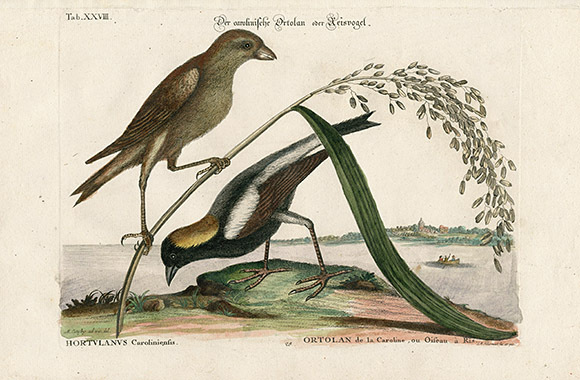 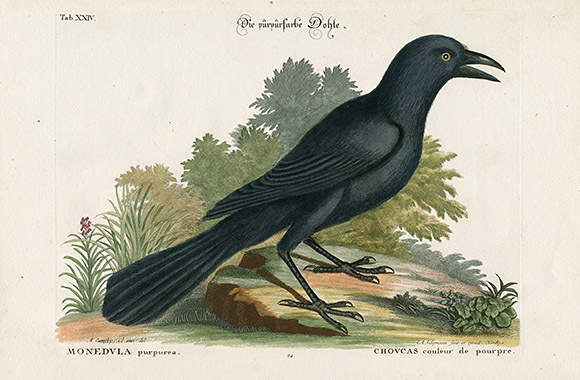 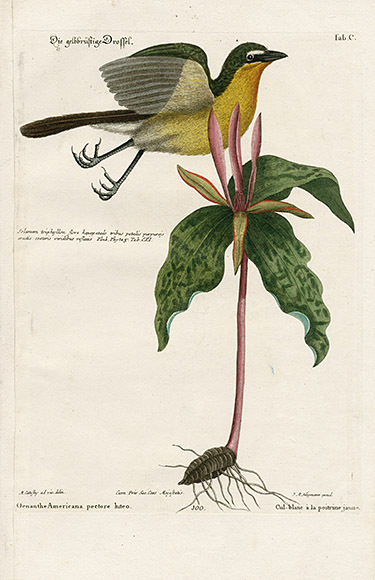 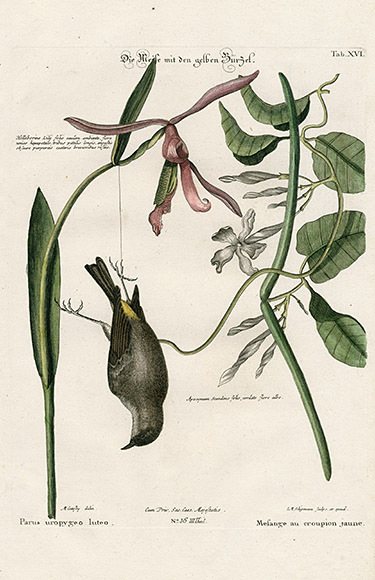 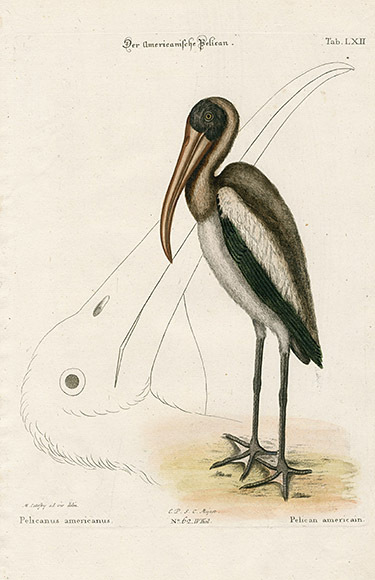 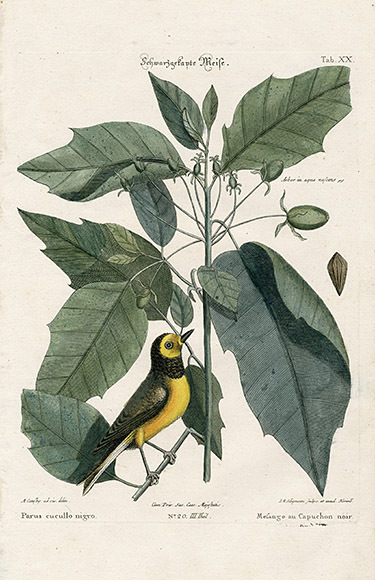 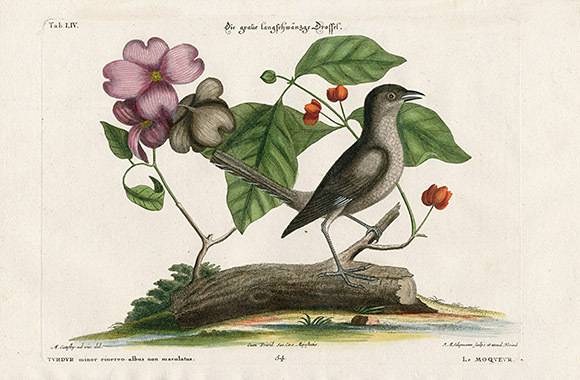 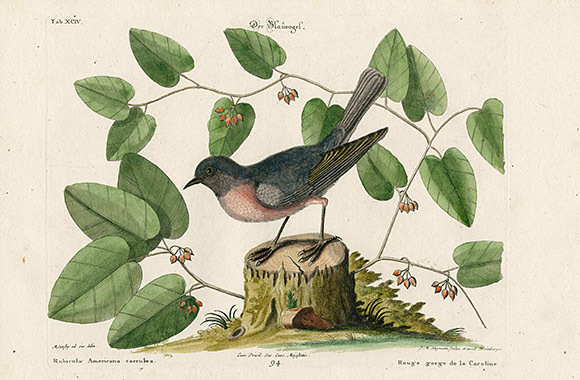 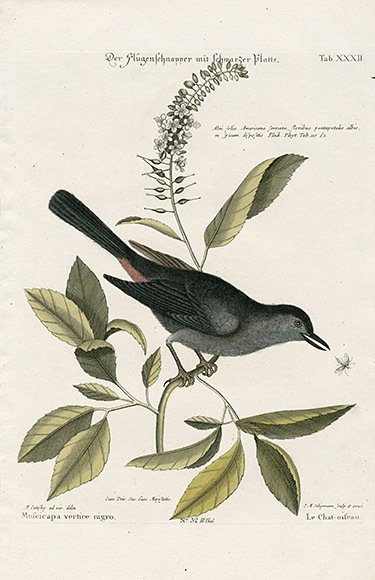 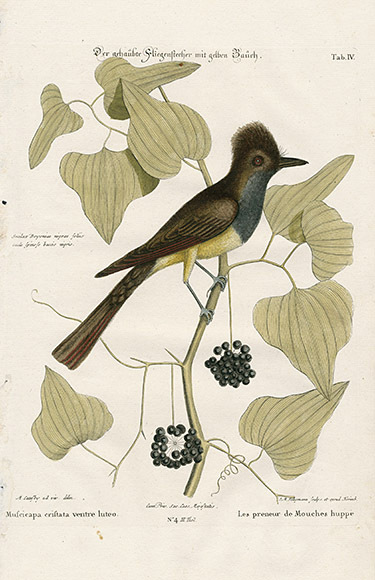 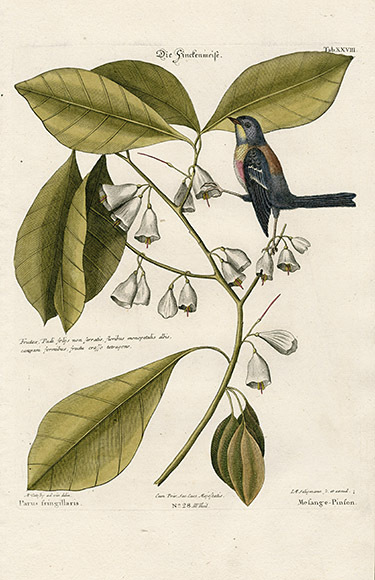 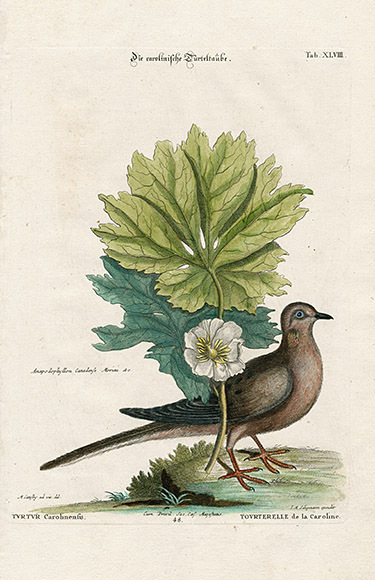 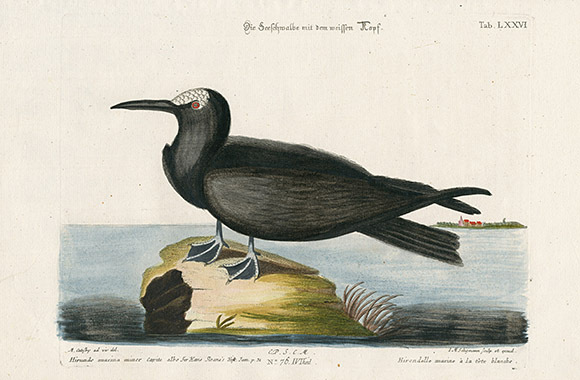 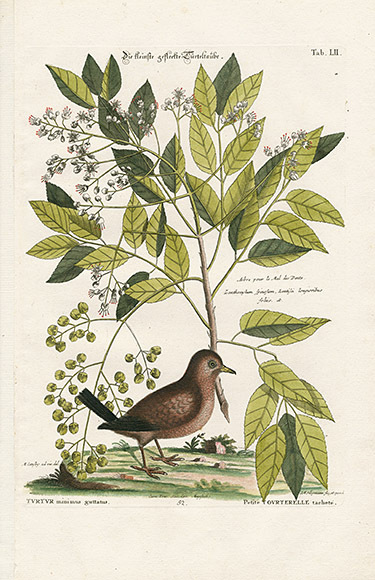 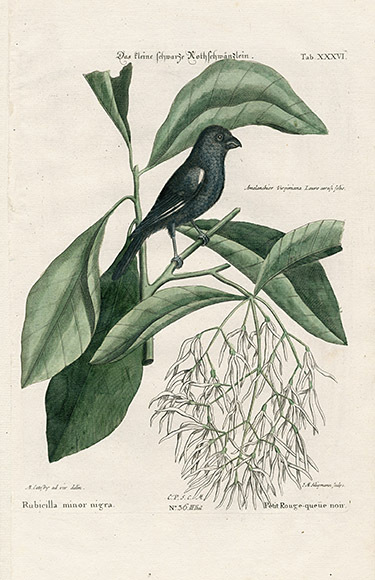 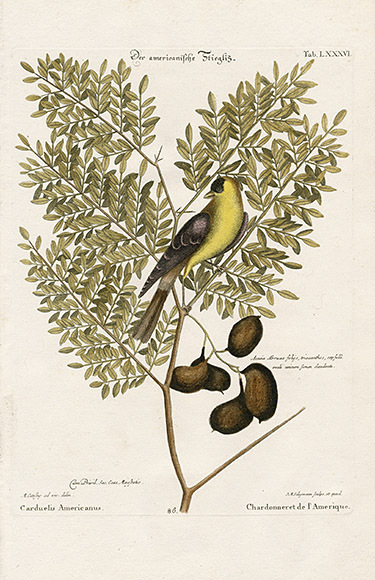 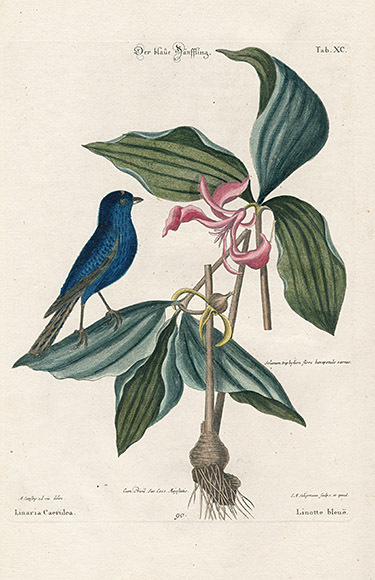 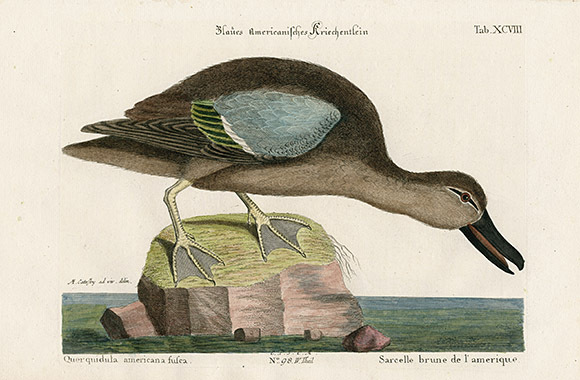 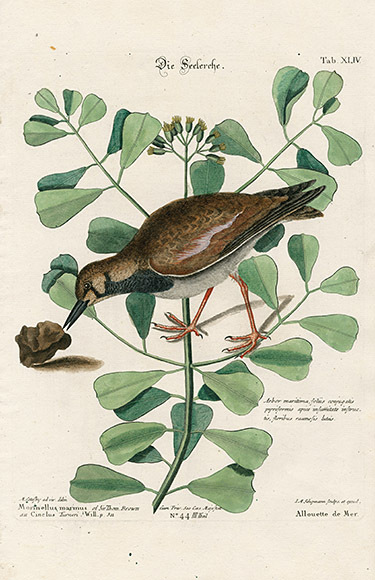 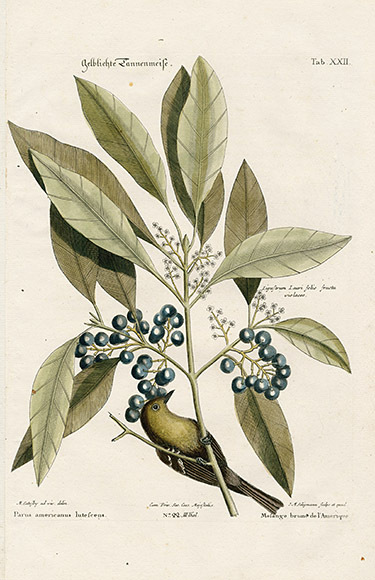 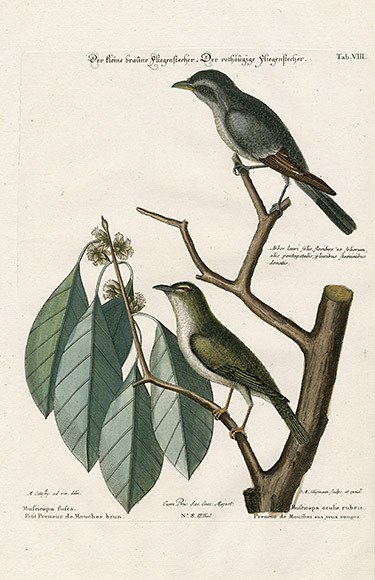 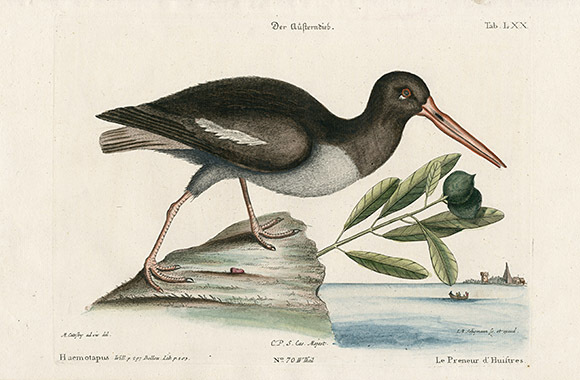 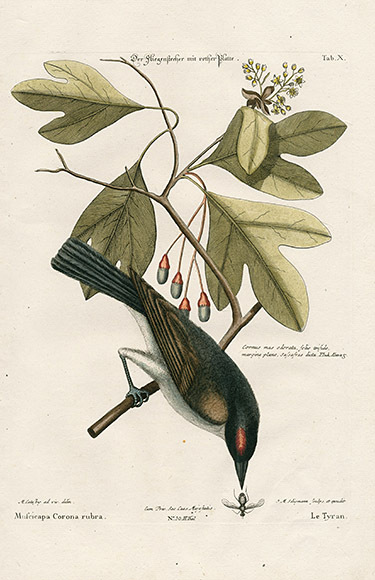 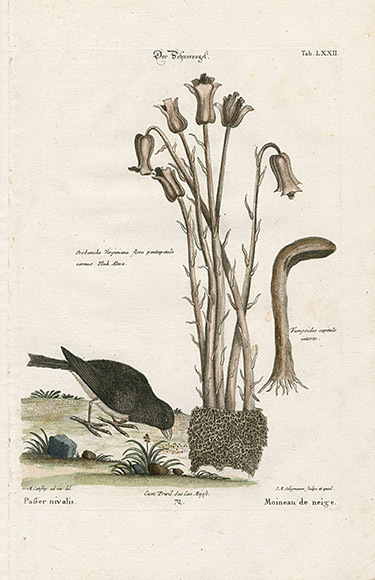 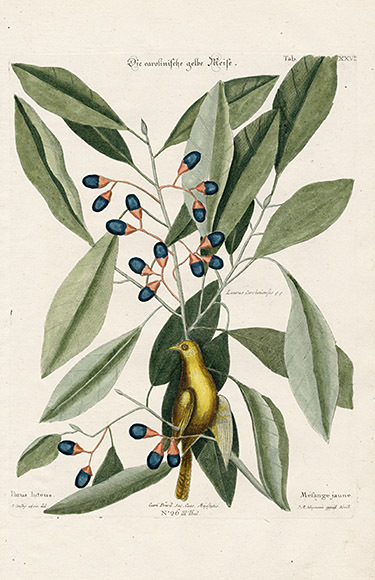 Mark Catesby (1683-1749) was an Englishman of prosperous background who became known as the father of American Ornithology. 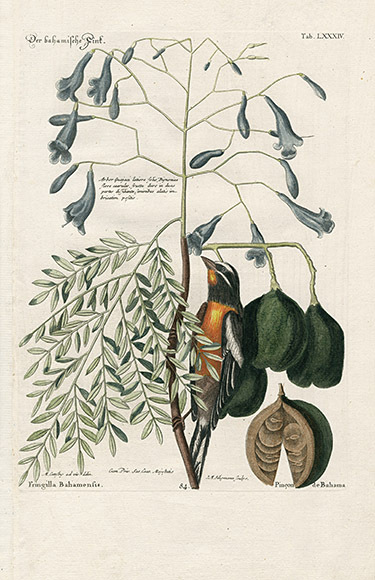 His rare and beautiful work The Natural History of Carolina, Florida, and Bahama islands 1748-1754 was published in London in two folio volumes of 11 parts each consisting of 20 plates, at a cost of two guineas a part. 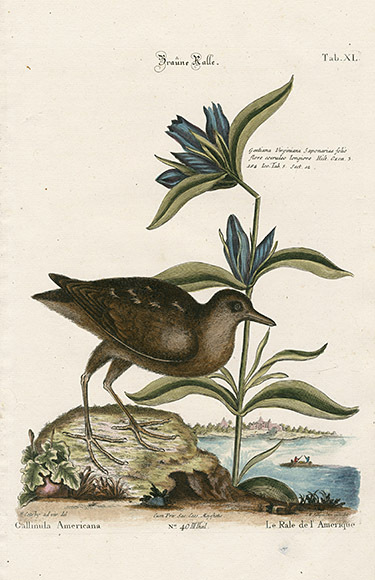 It was the first work to depict the flora & fauna of the new world. 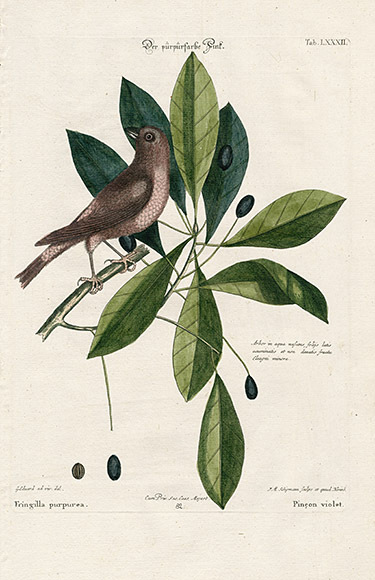 Catesby based this monumental work on his two lengthy sojourns in America, first from 1712-1719, staying with his sister Elizabeth & her husband Dr. William Cockle in Williamsburg, Virginia. 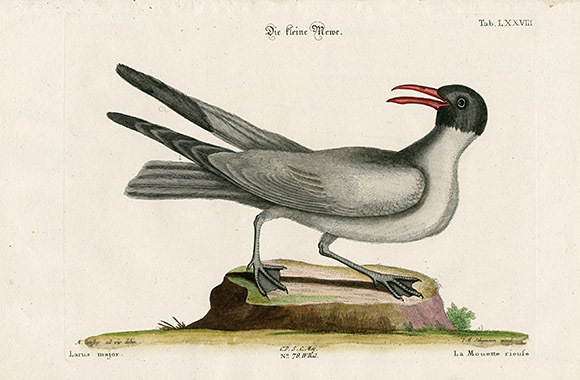 The second visit was from 1722 to 1726. 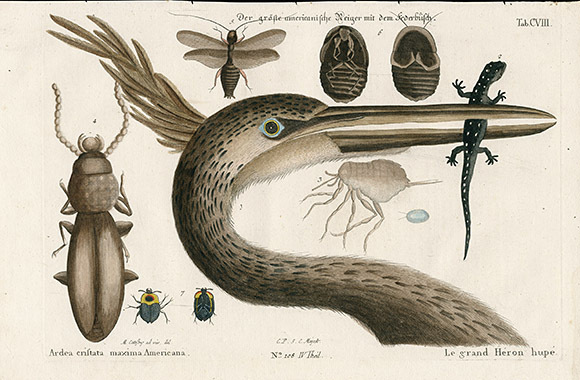 He returned to London equipped with a huge number of specimens from which he created the illustrations for this work. 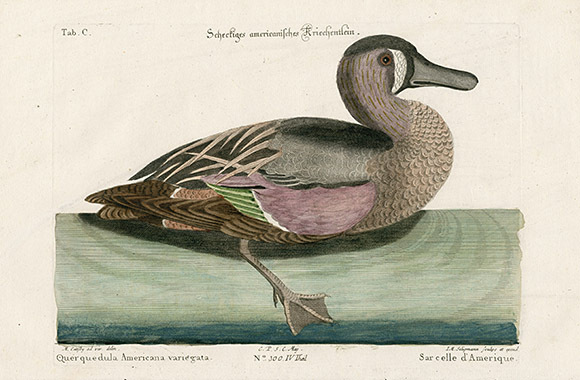 It took him 20 years to complete and as his funds were short he etched his own plates and even hand colored the first of the two volumes. 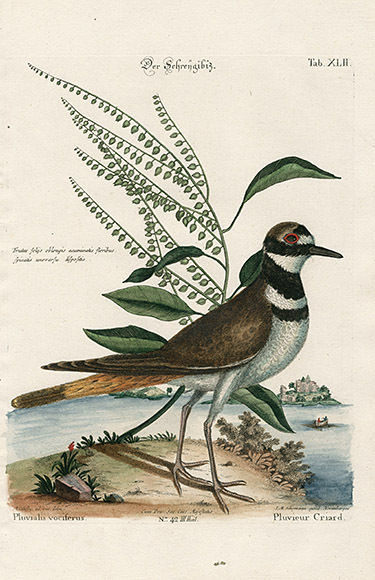 The illustrations have an exuberance & expansiveness which has made them among the most beautiful and best loved prints of all times. 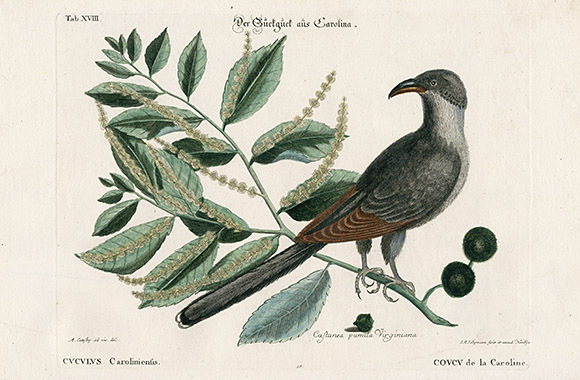 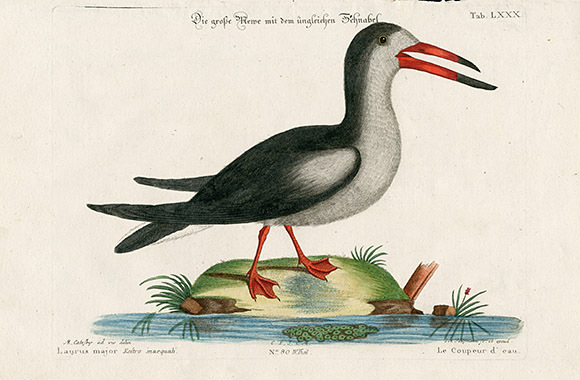 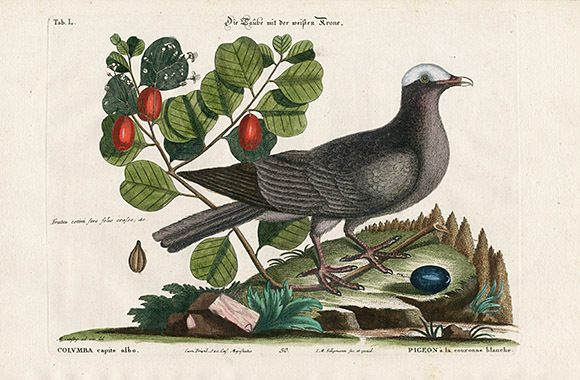 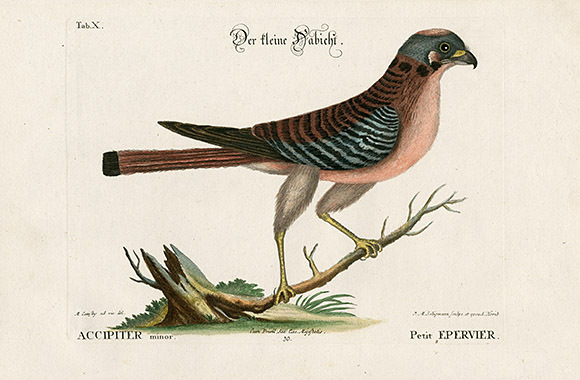 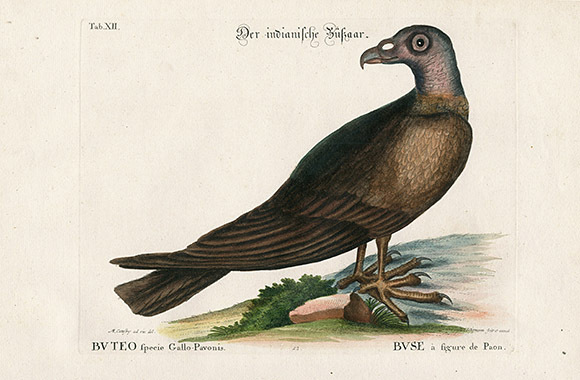 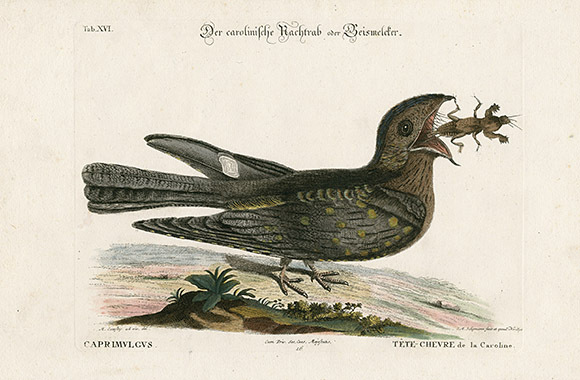 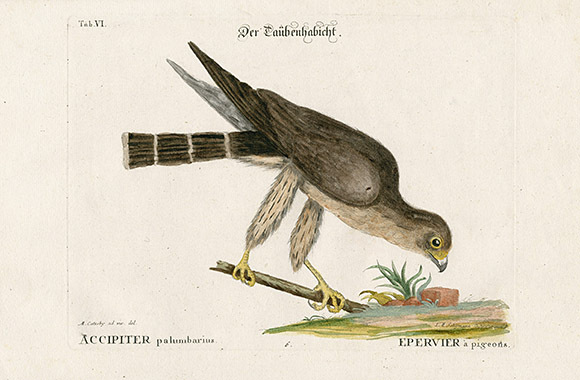 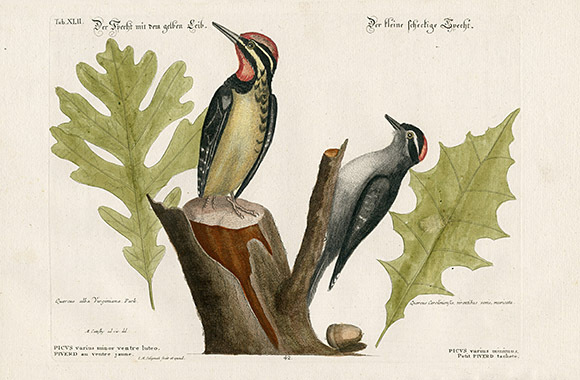 In 1749-1776, Johann Michael Seligmann, a German engraver re-engraved these Catesby plates, as well as many by George Edwards for the "Sammlung Verschiedener Auslandischer un Seltener Vogel" published in Nurenberg. 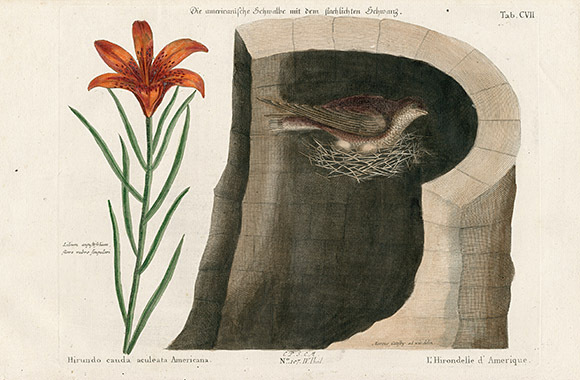 In some cases, botanical and scenic backgrounds were added for superb decorative effect. 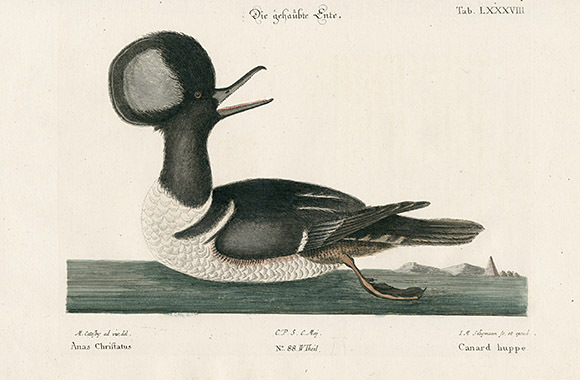 It is from the Nuremberg, 1768-1776 French Seligmann edition of the Catesby prints that we are pleased to present these plates in excellent condition. 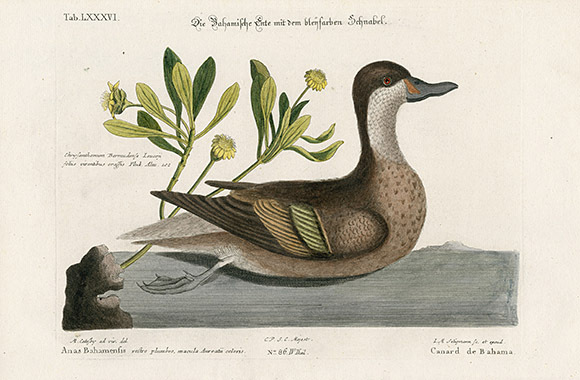 There is very little foxing on the plates and the strong chain lined watermarked paper is a beautiful light creamy color. 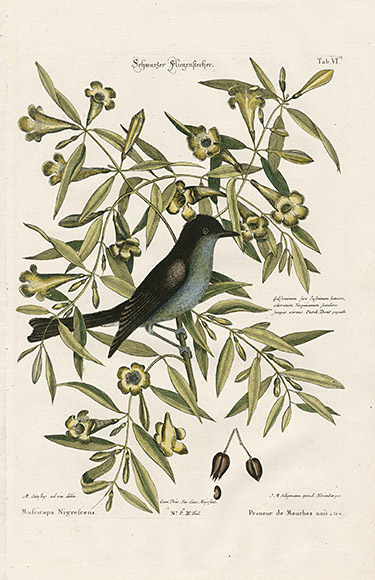 The ORIGINAL hand coloring is very vibrant & the paper has a rare, silky quality to it. 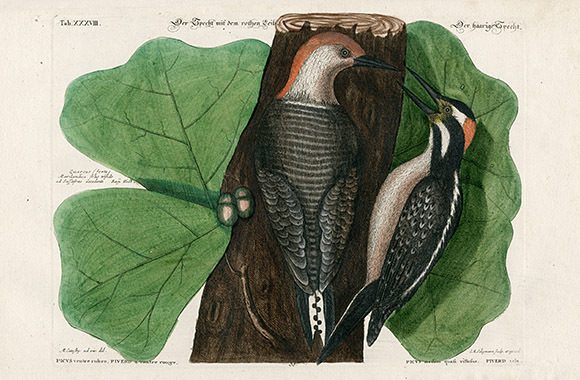 Each print is folio in size, measuring approximately 9 ½ inches by 15 inches with the occasional print having small margins on the gutter side, with some being remargined with original paper on one side as stated below the image. 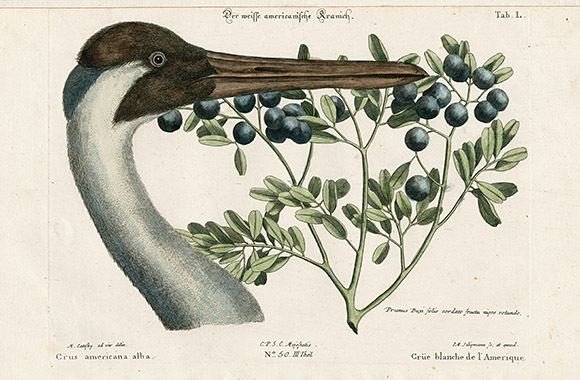 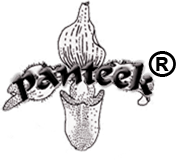 Most prints are accompanied by a copy of the beautiful title page and the original French descriptive text when available. 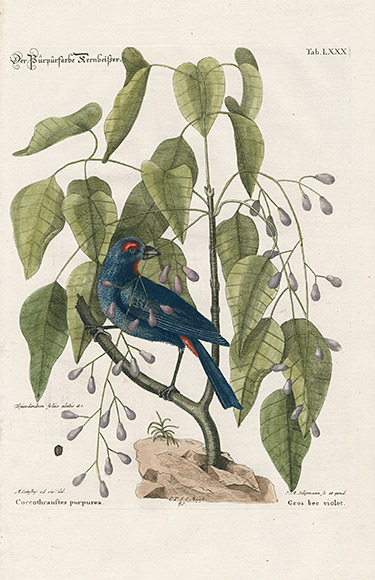 This work is 250 years old and it is rare indeed to find these very scarce prints in such good condition.